2019 is well underway and as we head into mid February, I can’t help but ask… What new products are coming out this year? And what am I excited about? There are many projects going on behind the scenes in the industry right now, but I will have to share those with you down the line once they get closer to completion and I get the green light to write about them. So, that being said, here are some things that I am allowed to talk about, and they’re very exciting. 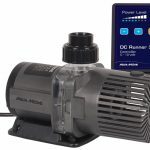 Following the trends of last year, tons of testers and automatic test units have been making a big splash around the reefing world. I find this to be a welcome change, as testing is something that should be done diligently as part of a regular maintenance regimen. Because of the inconvenience of traditional testing, people often do not catch that certain parameter going out of balance until it’s too late and after a significant amount of loss. With these very user-friendly units constantly testing things for us, there will be far fewer reef aquarium crashes, which will make people enjoy their tanks more without getting their hands dirty. Without further ado, here are my top 3 picks for the most anticipated products of 2019. 1.) Neptune Systems’ Trident. One of the most busiest and exciting booth to visit for me personally is Neptune Systems booth. Not only Terence knowledgeable and fun to work with (he also edits videos so he knows exactly what I want from him and makes it easier for me to edit), they continue to push the boundary with their already very impressive Apex ecosystem. You really don’t need any introduction for this unit. But I will give you a behind-the-scenes story of this unit coming together. 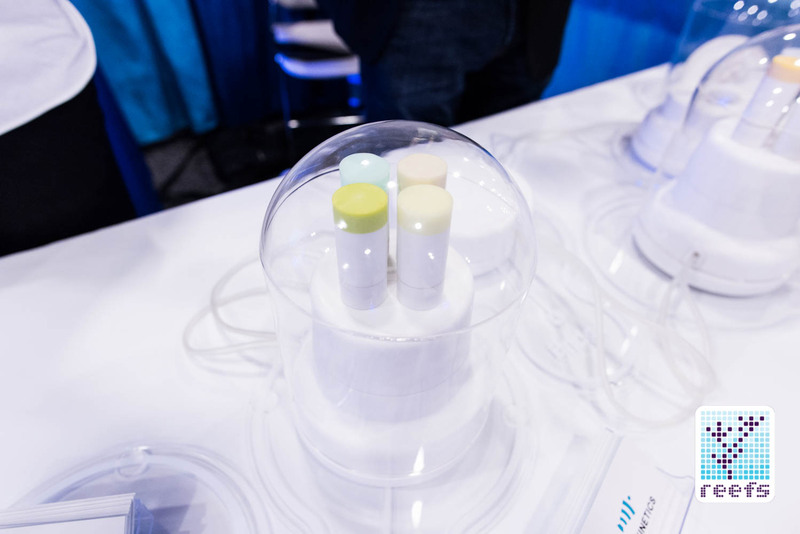 I had been closely following its creator Jim Welsh’s private work prior to MACNA San Diego and met up with him there, where I had an in depth discussion about the product when it was JUST testing alkalinity and nothing else. At that time, it was small box with tubes coming out on the side. It clearly worked as it was demonstrating flawlessly but it wasn’t a polished finish. Jim demonstrated in our Reefs.com booth for everyone and many were impressed with its abilities. Richard Ross got the first model and I will admit that I was really jealous at the time. I also vividly remember during the social events after the show, there was a frenzy as many manufacturers were dead set on meeting with Jim and rumors were rampant on who he was going to go with to distribute this new hot next thing. Model #1 as presented in Reefs.com booth in MACNA San Diego by Jim Welsh. Fast forward one year. I was invited to film their annual Neptune Systems meeting at MACNA New Orleans and was floored at the introduction of the Trident. After the meeting, I privately spoke to the owner of Neptune Systems, Curt Pensagrau, and expressed how I was floored by the introduction of Trident and how its ability to test the holy trinity of reef keeping (the old reefer term for calcium, alkalinity, and magnesium) he looked at me with a surprised look and told me that it was internal company project name for trident initially before it was named Trident. Terence Fugazzi, VP of sales at Neptune Systems, had an absolute poker face and did a phenomenal job hiding this from me. (I talked to him almost every day prior to MACNA to prepare for the shoot and he didn’t let me know about it.) As we all know, Trident missed its initial release date, much to the dismay of many hobbyists, and with social media being social media, many made jokes that this unit was the fabled unicorn or/and sasquatch of our industry. Memes were made and laughs were had. Even Terence made a joke about it on his weekly video series. But as soon as that started, Neptune Systems released NSI units to a few very fortunate reefers to beta test the units. The whole thing went back into frenzy mode as people constantly posted to find out more about it on Neptune System’s forums and on their official facebook support group. Personally having this unit for few weeks, I can definitely tell you that it works and works well. It takes an extremely small amount of water which I am very happy about, and that it seamlessly integrates into the Apex Fusion that we all came to love and rely on was a huge bonus. I can honestly say that with this unit, reef tank crashes will be reduced as human errors (both mistakes and laziness) will be able to be avoided. I think it’s safe to say that this unit is THE MOST ANTICIPATED item for many reefers around the world and I rank this as the #1 unit that we look forward to launch in 2019. 2.) Reef Bot by Reef Kinetics. 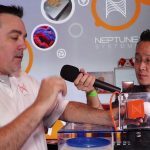 For this video, we went to the CoralVue booth in Reef A Palooza Orlando to met up with Rabih Krayem of Reef Kinetics to see their unveiling of final release model and launch of their highly anticipated Reef Bot. This is another product that I have had my eyes on for few years now. Reef Kinetics is a Lebanese company that I feel will make a big splash in the U.S. with this amazing product. Back story on this one: I first met the owner/creator Rabih Krayem during MACNA San Diego. At that time, another publication was very doubtful of its potential and its abilities. However, I saw huge potential in this unit and despite its not-so-attractive look back then, I was very optimistic about it. Here are the pictures from its earlier days. I kept in touch with the company and I was very pleasantly surprised to see that it ditched the not so great look and vulnerable casings with tubes coming out of the case to favor an all inclusive, sleek looking unit. They went to the drawing board and completely reinvented their product and the effort was worth it. As you can see from the picture and the video above, all the fragile plastic casing is gone. It is replaced with black aluminum which is durable as well as light for ease of moving things around. 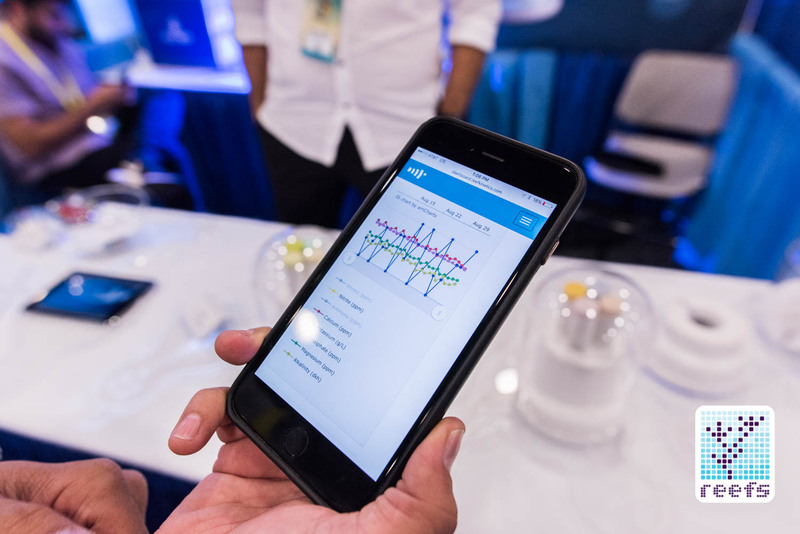 All the testing is done by the machine itself which eliminates human error, as everything is done mechanically and precisely measured and calculated in algorithms created by Reef Kinetics. What I really liked about this unit is that it uses the reagents from the test kits that we love and trust. So if I’m a die hard salifert test kit fan, I can continue to use their kits with Reef Bot. I could also use reagents from Red Sea, Elos, API, and many others. Another thing that really caught my attention is HOW MANY elements and nutrients it can test. 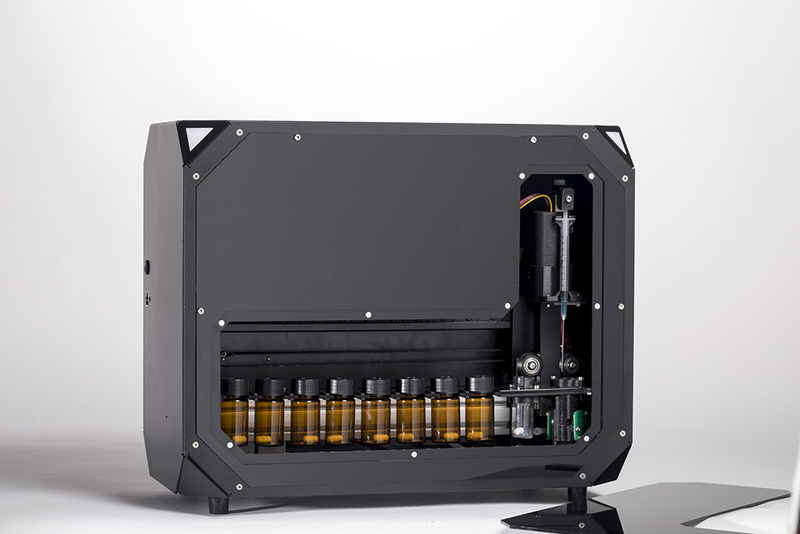 This unit can test up to 8 different parameters which really makes this unit flexible and valuable for many hobbyists that are suffering from LARS like myself. This unit takes 2nd spot on my list for most anticipated item of 2019 release. Rabih promises a big release this year and I’m going to hold him to it! Check out https://www.reefkinetics.com/ in the meantime to find out more information. 3.) Algae Scrubber Powered Sumps from CWT Aquatics. Those of you that follow my social media platforms know that I am a huge fan of algae filteration. It’s what mother nature uses and many experts utilize to naturally remove nutrients and to polish their reef aquarium’s water. Now, you may be thinking, CWT Aquatics? 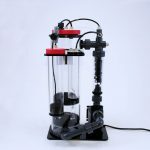 Algae Scrubbers? Who are they and why are they here on my list? Let’s give you some more insider scoop on this. 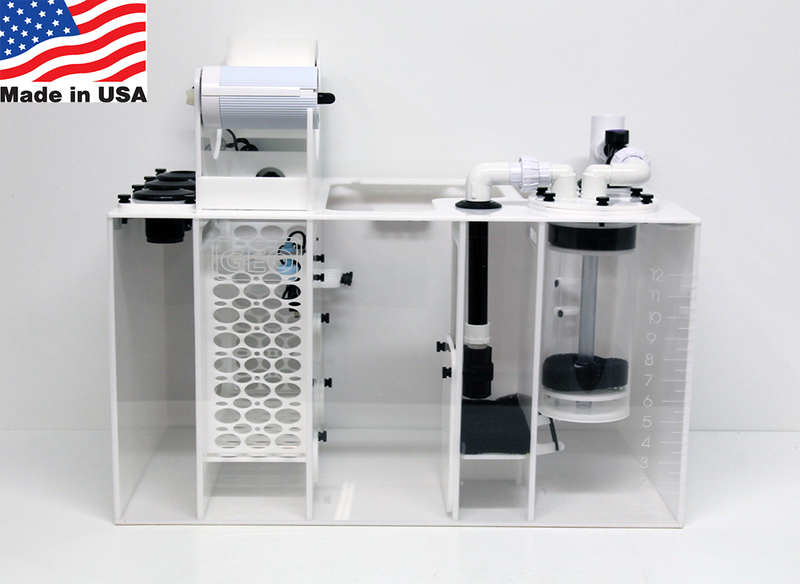 My good friend Josh from Clear Water Aquatics and Bud from Turbo’s Aquatics (hence the name CWT Aquatics) have come together to create a custom sump that will have algae scrubbers in the heart of its filteration. You can see the video that I did with Josh at Reef A Palooza last year about their line of scrubbers, how they work, and see what to expect (these were prototypes) from them. They are expected to launch in March/ April of 2019. As I was walking the show floor of Reef A Palooza, I became intrigued by the red and blue light that caught the corner of my eyes and even more surprised that it was coming from an algae scrubber from Clear Water Scrubbers. I’m no stranger to algae scrubbers. Special Mention! Geo’s Reef’s AFR Sump. 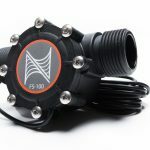 This unit was actually released earlier this year so it didn’t make it in my top 3 list, but this has to be one of the most tech savvy sumps in the market. 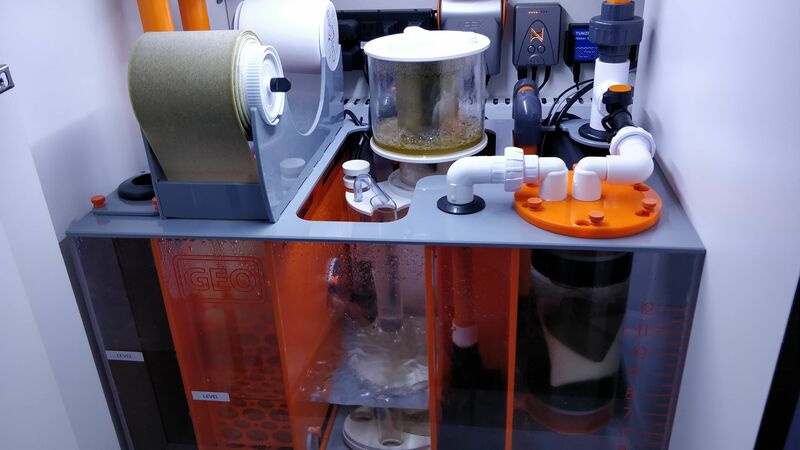 Along with the usual places for the usual reactors, skimmers, and pumps, Geo’s Reef took it one step further by collaborating with Clarisea to incorporate their latest Clarisea Gen2 to step up their mechanical filteration game. Innovative, and great customization options in colors and options made this sump sump stylish and desirable to have them as part of our aquarium setups. 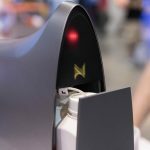 MACNA 2017: Neptune Systems’ Trident! Afishionado : a person who likes, knows about, and appreciates a usually fervently pursued interest or activity. (In this case, fish, corals and reef keeping). We are group of passionate hobbyists who are all about educating, creating innovative contents and providing eye popping visuals for hobbyists of all levels.